The SAPPHIRE NITRO R9 390 features the latest version of our award winning Tri-X cooler now with dual ball bearings in each of the three fans for higher reliability and enhanced Intelligent Fan Control (IFC-II) which turns off the fans for silent operation under light load. Its industry leading 10mm heatpipe and diecast heatsink design keeps the card running cool even under the most demanding applications, and the use of long life capacitors and SAPPHIRE Black Diamond chokes contribute to consistent performance and high reliability. 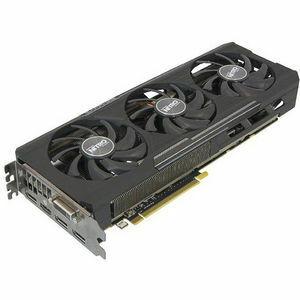 Based on the latest GCN architecture from AMD, the SAPPHIRE NITRO R9 390X supports DirectX 12, TrueAudio, AMD FreeSync, LiquidVR and Ultra HD. With an 8GB frame buffer and a SAPPHIRE Performance Index of 4 it is guaranteed to breeze through games at 1080p on maximum settings and deliver a great gaming experience at 1440 and beyond. PCI Express based PC is required with one X16 lane graphics slot available on the motherboard.